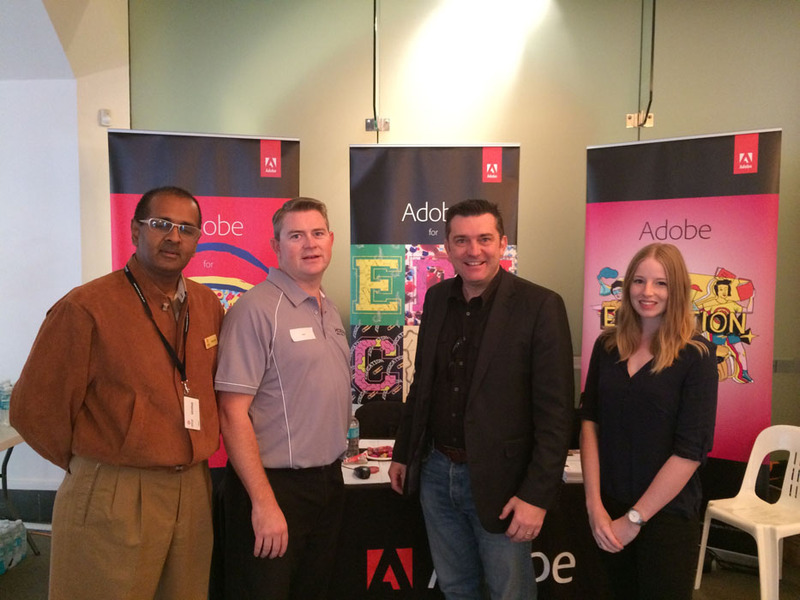 Check CreateEDU TV to find more about what has been happening in the world of Adobe in Education in Asia Pacific. 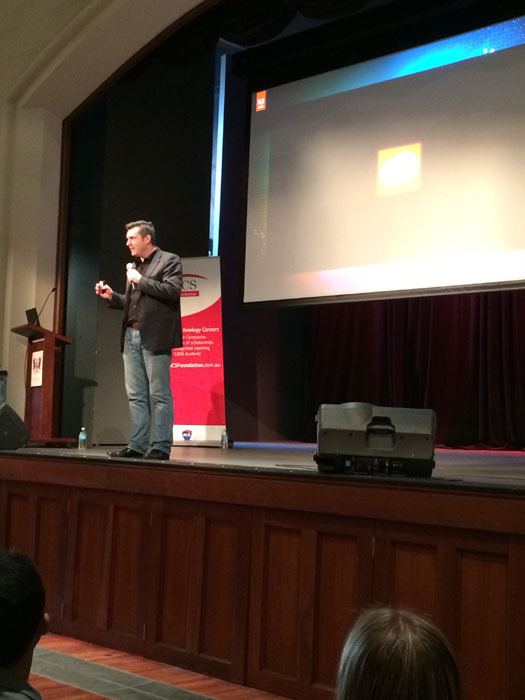 The Australian Computer Society Foundation’s ‘Big Day In‘ roadshow rolled into Perth Town Hall on Thursday May 7. 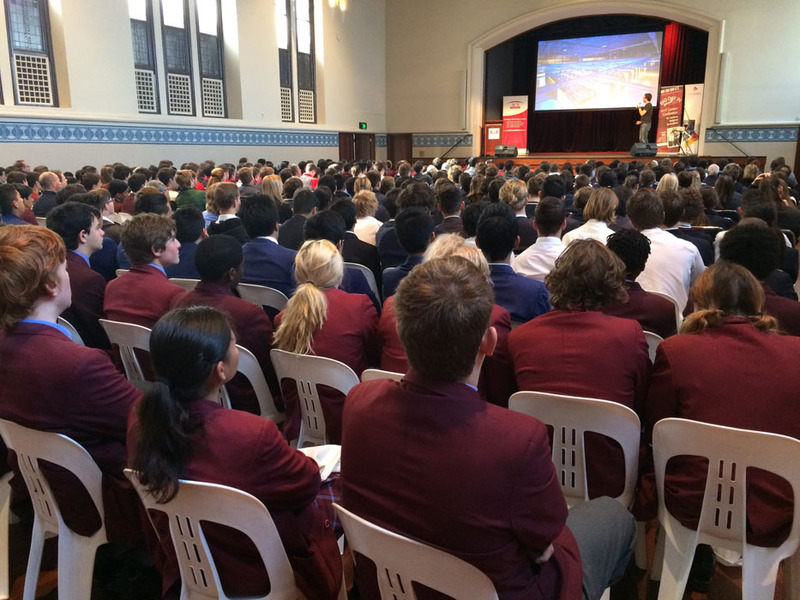 Over 400 students from a wide range of schools throughout the Perth region witnessed a range of speakers all encouraging them to consider a career in ICT. 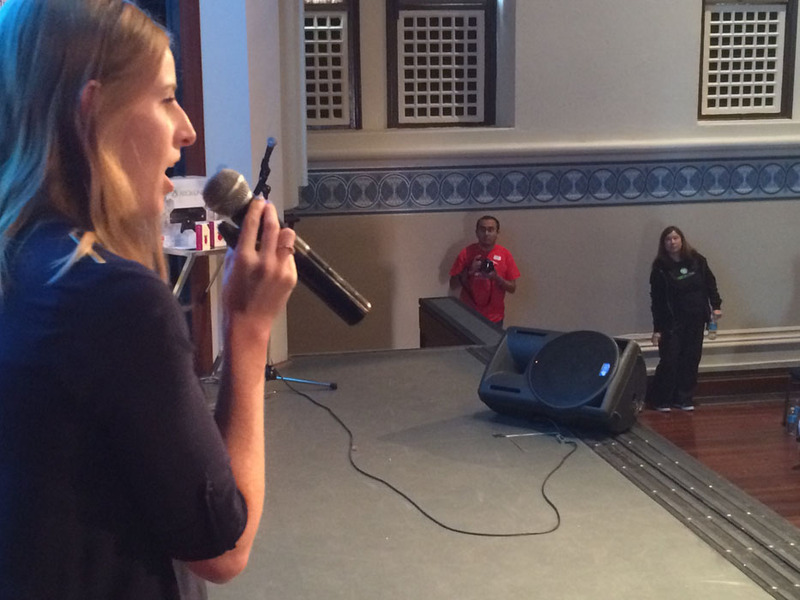 For this event, I was delighted to share the stage with Catherine Woolfe, Adobe’s Student Rep from Edith Cowan University. Catherine shared her passion for creativity and the importance of being creative in everything your do. This complemented my similar message and my encouragement for students to further develop their ICT & Design skills and to brand themselves in positive ways so that they get a head of pack when looking for future study and employment prospects. It was great working with Gareth Cowen from XCERIO (formally IC Central) who helped look after the Adobe stand with a big push for Adobe Certification. George from Central Institute of Technology was also on hand to help answer questions about Adobe Certification.